I am not doing much work today. But in the early quietness I was able to finalise an edit of a presentation I gave in Rome on November 24, 2014 on Framing Modern Monetary Theory. So among other things I include today that video is now available. All the best for today. 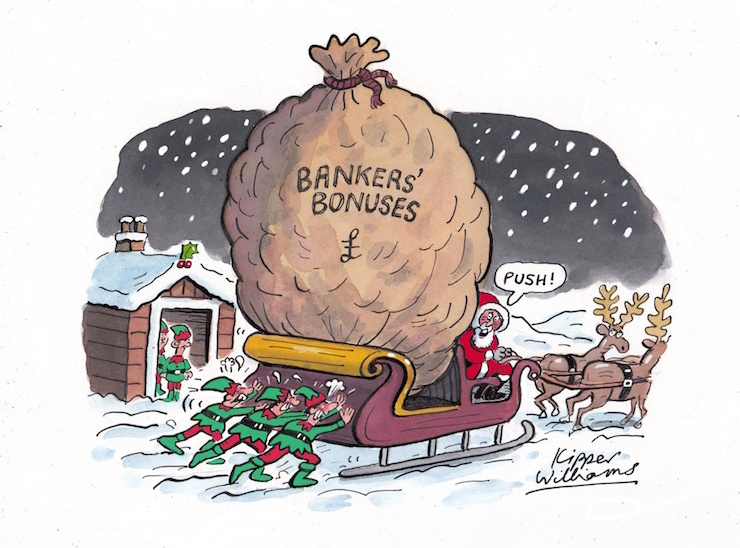 Here is my Xmas card for 2014 courtesy of – Kipper Williams – of the Guardian. I think it appropriate for this day and age. The original full version with Italian interpretation and the Q&A was filmed and produced by Joel Samuele Beaumont and can be viewed at http://youtu.be/bDETqz2MA1c – the session went for 2 hours and 43 minutes. I captured his video and I thank him for his work. The version here is 39 minutes and covers the English presentation only. I have cut out the interpreting and the Q&A and some other nondescript time filling bits. I will post the Q&A session separately once the editing is complete. It is based on work we are doing at present on presenting Modern Monetary Theory (MMT) to a public that has neo-liberal economic concepts ingrained in their basic learning structures. I thought this was rather apposite for today. See related story – See what homeless man does with $100. I never buy airlines tickets particularly one-way types with cash the day before. When you travel a lot you work out that the cheapest fares are those that are 3-4 months out of the flight – unless you are prepared to take the risk of standby. I also never wear T-shirts and never look very scruffy at airports. 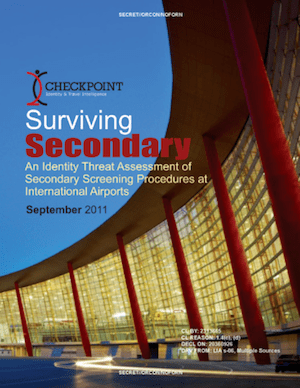 It was as if I had been reading the – CIA Assessment on Surviving Seconday Screening – and the – CIA Advice for Operatives Infiltrating Schengen. WikiLeaks has kindly made these two CIA documents public which offer all would-be spies some solid hints on how they can stay undercover and defraud the sovereign rights of nations through the use of false documents to illegally cross international borders. This information will also help would-be spy novelists get some real world, workshopped information to make their scripts more realistic. The docuuments were intended for CIA operatives only – not to be shared with even other allied security agencies. 1. Don’t show signs of nervousness at foreign airports – “Physiological signs of nervousness include shaking or trembling hands, rapid breathing for no apparent reason, cold sweats, pulsating carotid arteries, a flushed face, and avoidance of eye contact.” So stay calm. 2. Don’t lie if they ask you at the screening if you are carrying heaps of drugs – “Appearance of lying or withholding information”. 4. Preferably white out any stamps or visa from bad places – “Stamps or visas from a terrorism-sponsoring country”. 5. Learn all Ten official languages if you intend to spy in South Africa – “Inability to speak the language of the passport-issuing country”. 6. Don’t carry sets of golf clubs if you simultaneously are being assisted by a guide dog for blindness – “Baggage or contents inconsistent with the passenger’s appearance, profession, or ticket class”. 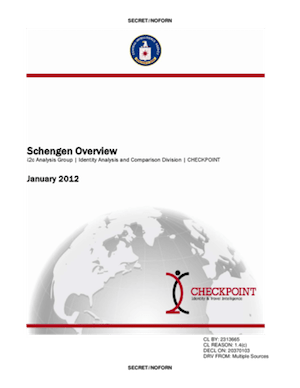 The other document tells CIA wannabees how to breach the border security of European nations in order to spy on them and kidnap people for rendition and torture. The US Administration seems to be a cheery place! Here is a snippet from my Melbourne band – Pressure Drop. It is a shortened version of a song from our next CD to be released in early 2015. The audio is the pre-final mix and has some glitches and will be refined in the final mix in January. It is not about spies. Brilliant, Bill. I will especially check out the CIA advice. Ha, ha. Jacob Bronowski told a story about how he once went to the US with the manuscript for his book, The Ascent of Man, in his luggage. A customs official, checking his luggage contents, began looking through it and asked him if he wrote it. Bronowski said that it was a book he was writing. With a chuckle, Bronowski relayed what the official then told him — it ain’t gonna be no best seller. With that, he was allowed to proceed. Thanks for the Xmas card. Seasons greetings to you too Bill. Just finished painting the kitchen. Sorry i rocked up so late on Xmas night,i forgot to mention my name,it’s Jason Ruby or better known as Jason. Pleased to meet you ! One thing I think is needed is a full philosphical analysis of what money is. You have probably tackled this extensively in your writings already. I hope I can offer my philosphical musings. The evolution of money demonstrates a development from the concrete to the abstract or the real to the nominal. Barter (or the gift economy) is an exchange of a real commodity for another real commodity in the main. The next step seems to be a consumable commodity money (say grain) functioning as a proto-currency. After this comes commodity money only “consumable” as ornament, decoration or as a signifier of status and wealth. Gold is the example par excellence here. Then follows in order gold specie, debased gold specie and then token money and promissory notes linked to a gold standard. This gold standard link becomes ever more tenuous over time. It too is debased or attenuated. After that money is completely nominalised or formalised as a pure fiat currency and its tokens progressively “dematerialised” as electronic transactions and accounting. That’s a potted history of money. The important thing to note is the continuous historical process of the dematerialisation and formalisation of money. Another aspect of the formalisation of money is exhibited by the idea of “fictitious capital” to use Marx’s term. Capital as ownership of stocks, bonds etc, asserts owneship over a future income stream where the real production is at yet unrealised (it is in the future) and there is a risk the production might never be realised. At least one lesson that can be drawn from this is as follows. The ability of government to remain solvent for longer or even indefinitely longer than might be predicted by naive monetary ideas did not suddenly and completely arise from nothing at the point that a full fiat currency was formally established. Developments in the pre-fiat era were stretching matters in that direction for hundreds of years. Also, the full fiat currency does not alter the fact that a government over-stretching this capacity will eventually face problems ranging from real economy problems, to currency debasement, to loss of currency credibility and various domestic and international economic and political problems. It is true, I agree, that neoclassical economics under-stretches the currency issuing capacity in its operation of the macroeconomics system and tolerates (indeed prefers) capacity under-utilisation of both labour and fixed capital (factories, plant, machinery). I posit that neoclassical economics does this as it is a capitalist-oligarch created-captured system and that capitalist-oligarchs can be relatively richer and indeed absolutely richer under this system despite the entire system being poorer in aggregate. This is made possible by the huge inequalities which are intrisic because designed into the system and which become more glaringly manifested over time. Ikonoclast: MMTers and others have studied the history A LOT. And also the philosophy of money too. The best place to start for both is the papers of Alfred Mitchell-Innes in Wray & Kelton’s Credit and State Theories of Money: The Contributions of A. Mitchell Innes and the papers by Gardiner, Henry, Hudson, Ingham, Kelton, Wray in this volume. The “potted history” reverses the well-documented historical sequence. Basically, the sequence is credit –> state money –> markets, or “commodity money” like gold. Barter never existed anywhere and is not like a gift economy. Something like barter only tends to be seen in the collapse of money-using societies, or in “international trade” between them. Again, credit, Credit money & Fiat money are ancient and underlie all money. Metals are modern. So IMHO MMT is quite consistent with and related to the classical (continental, rationalist) view that thinking begins with the abstract and goes to the concrete, not vice versa (analytic, empiricist). Metaphors don’t work very well. I tried to explain the national debt to my daughter using a metaphor. I said : “The debt is like a high mountain”. Some Guy. That alternate history is still contested by various academics. The notion that some ancient barter did not occur seems doubtful to me. While tribes might run a gift economy internally, inter-tribe interactions were likely characterised by swapping or barter at least at times. The earliest anthropological evidence perhaps does not allow a definitive statement on the order of invention. Even with the Trobriand Islanders, several systems seemed to co-exist simultaneously (gifts, exchanges, payments). Presumably the payments were made with tokens, proto-currency or commodity currency. Malinowski distinguished seven types of exchange. See Companion Encyclopedia of Anthropolgy, pages 928-929.